Surrounded by the warm hues of the Santa Rosa Mountains and the lush fairways of La Quinta, California are the adobes known as Casitas. These vacation villas are luxuriously appointed with Mediterranean-influenced furnishing and designed exclusively for your comfort and convenience. Lounge by the pools or walk into the Village of La Quinta for shopping or exquisite dining after a full day of fun in the sun. Enjoy California's beautiful desert climate with the entire Coachella Valley at your finger tips. 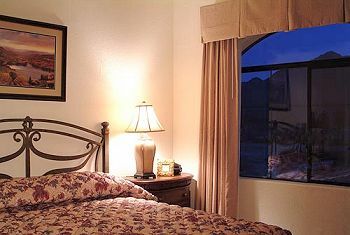 We invite you to stay, enjoy the views and partake in the oasis known as Casitas Las Rosas in La Quinta.